OBS Logistics is proud to announce we will be exhibiting at Commercial Vehicle Show 2017 held at the NEC from the 25th April until the 27th of April. 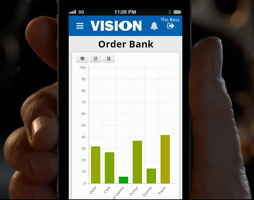 Mobile Vision analyses key business data and alerts key stakeholders and specific users to changes within your business’ operational parameters. This allows you to take action to minimise the impact to operations, as well as to effectively manage stakeholder expectations. Come visit us at stand 4F61 and find out how we can help your business go further with our solutions!